Culinary cast members at the Disneyland® Resort have the opportunity to provide first-rate dining experiences while working for one of the world’s leading entertainment and hospitality companies. Culinary cast members experience a world of options in our Hotels and Theme Parks, from quick service to Five-Diamond dining.Responsibilities:Regardless of the kitchen, our restaurant leaders and chefs are committed to using the freshest and highest quality ingredients available. Working with exceptional chefs and an experienced staff in an environment ensures that each culinary cast member can gain the experience necessary to work at many of our food and beverage locations across property. You must be at least 18 years of age to be considered for this role. Needs to be flexible and able to work a variety of shifts including days, nights, weekends, holidays and special events. Part-Time roles require full availability for any shift three days a week, including nights, weekends and holidays. Full-Time roles require full availability for any shift any day of the week, including nights, weekends, and holidays. Full availability for any shift, seven (7) days per week, including nights, weekends, and holidays is preferred. Our Theme Parks and Resort Hotels operate 24 hours a day, 365 days a year and some shifts may start as early as 5:00am while some may end as late as 3:00am, 4:00am or 5:00am Must be flexible and able to work a variety of shifts including days, nights, weekends, holidays and special events. You may only apply once in a six-month period. If you have applied within the last six months, please log in to your account to view your current application status. 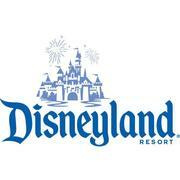 This position is with Walt Disney Parks and Resorts U.S., Inc., which is part of a business segment we call . Every guest at Disneyland® Resort feels the magic. That's because every cast member is focused on making it happen. From Walt Disney's very first theme park - the original Disneyland® Park - to Disney California Adventure® Park, and from Disney's Grand Californian Hotel & Spa® to the Downtown Disney® District, there is a place in this Land for everyone. Explore the possibilities on how far Disney can take you.